We accept new students throughout the year. The next audition dates are Jan. 7 & Jan. 14, 2019. Please call 951-587-1536 to schedule an audition. 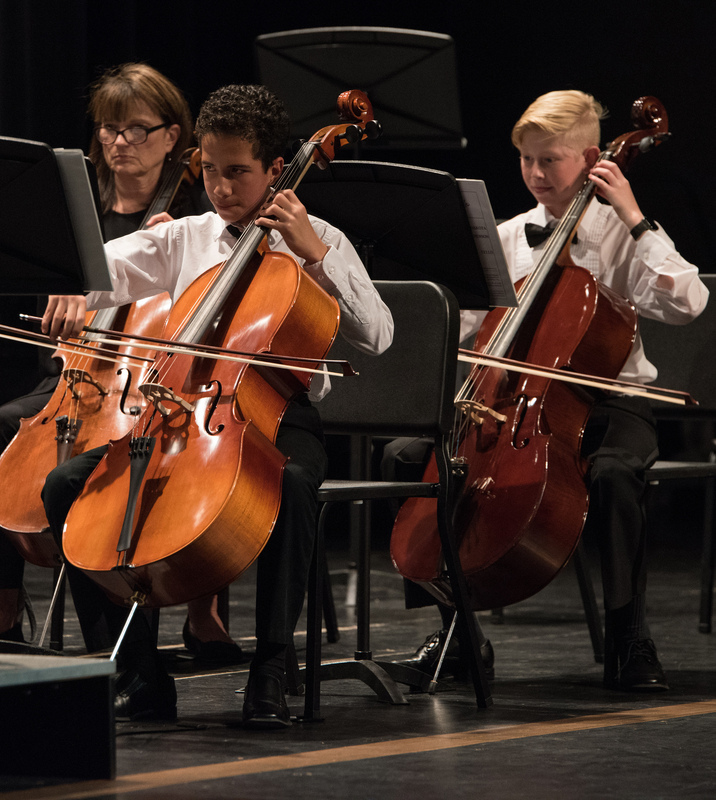 The purpose of Temecula Valley Youth Symphony is to enrich the lives of student musicians with outstanding educational and performance opportunities for all levels, in a nurturing and challenging environment without discrimination. 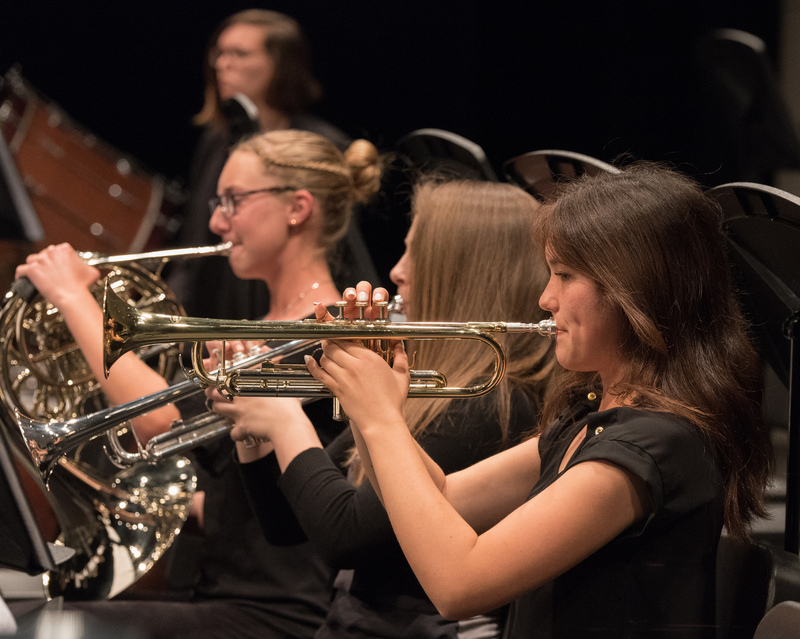 Working together with parents, private and school music instructors, TVYS will provide the finest possible training with rehearsal and performance opportunities to enable the students to develop, share and further enrich their lives through the power of music. TVYS believes that music is proven to enhance student performance in all academic areas. 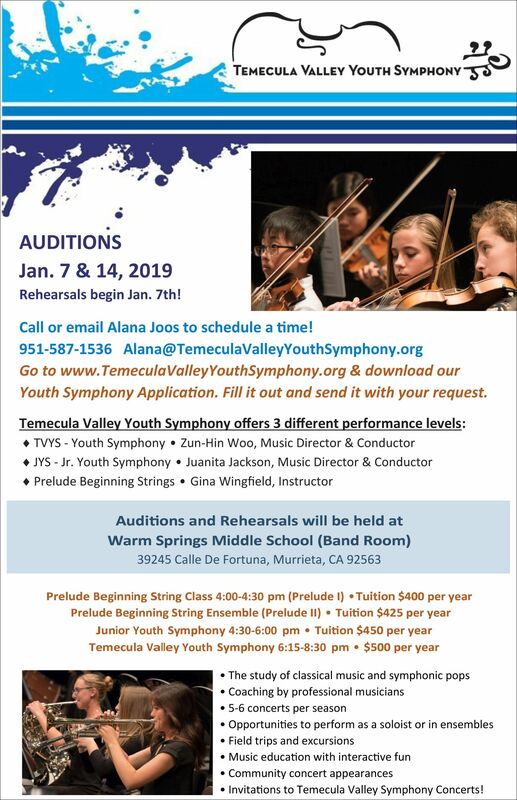 The Temecula Valley Youth Symphony groups are a tuition based program. Families with more than 1 student enrolled will receive a 10% discount off the total tuition. Performing seasons run mid-August through May. Concentrated study of orchestral repertoire. Direction by a professional conductor and music educator. Solo and chamber music opportunities. Opportunities to play on various recitals and concerts in the community.